I love greek grub. It’s so versatile. Refreshing salads to heart-warming moussaka, it has it it all. Fresher than fresh seafood, rich, viscous olive oil, and the crumbliest, saltiest feta cheese on the planet. It just makes one’s mouth water, does it not? It was my final day in London, before I was headed to the West Country, and I was meeting an old school friend for a bite to eat before heading on out of the big smoke. The Real Greek was actually her suggestion, and I must say it was a really refreshing experience. 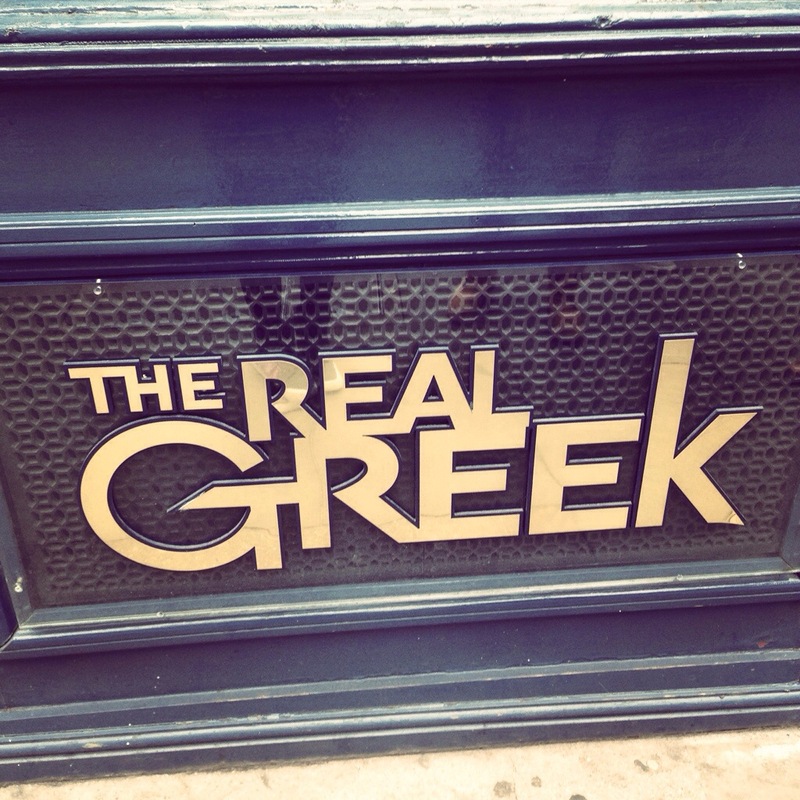 Located in what used to be a pub, on the corner of Long Acre and Endell Street, right next to Covent Garden, lies The Real Greek. Albeit one member of a growing chain, it felt unique in its own right. The tables were all bar-height, with chairs to match. I would say perhaps a few too many tables for the small space, but I wouldn’t go as far as saying I was at all uncomfortable. 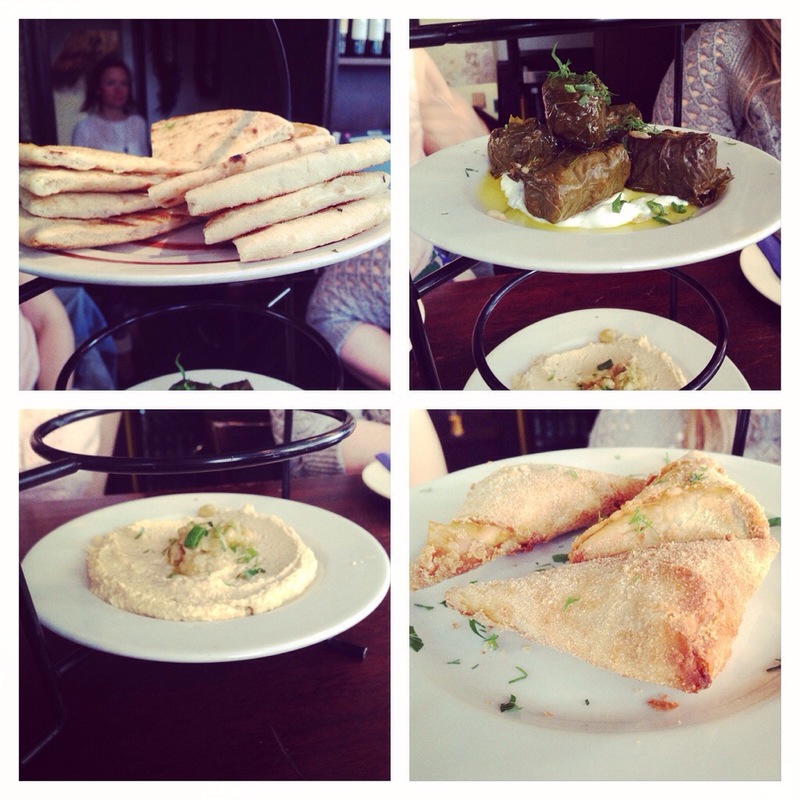 We ordered a selection of starters between the four of us – hummus, dolmades (vine leaves stuffed with rice, tomato, and fresh herbs), greek flatbread, and tiropitakia (filo pastry parcels filled with creamy leek, spinach, and feta). It was all served on a multi-tiered plate stand. Fun. I love interesting food displays. There is probably an actual name for this plate stand I speak of, which I don’t know. But you know what I mean. And if you don’t – look at the pictures below! The amount we ordered was more that enough between us. 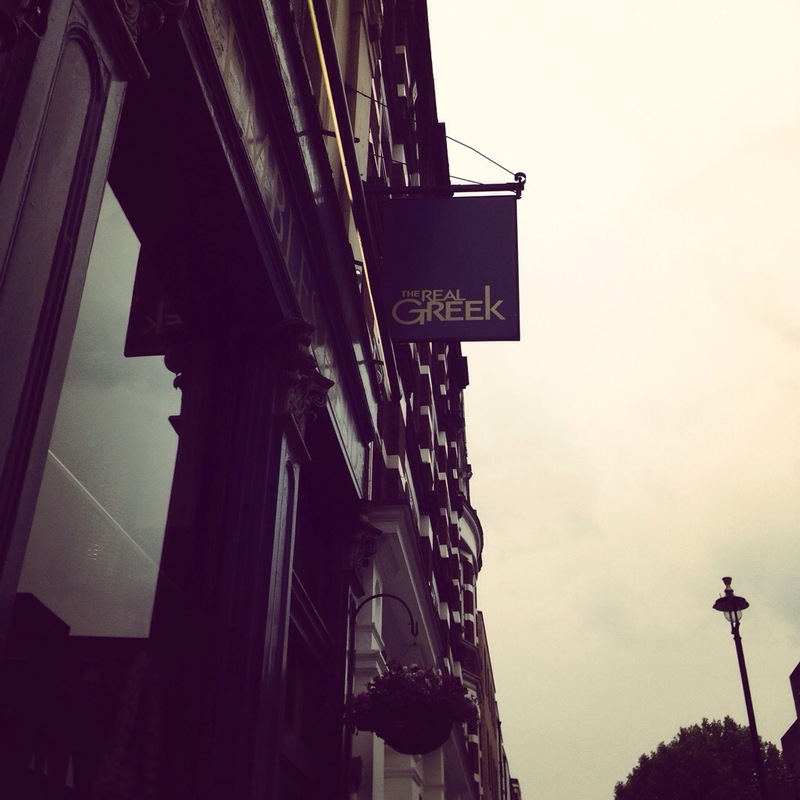 For mains – as it was lunch – we all went for variations of the souvlaki wraps. 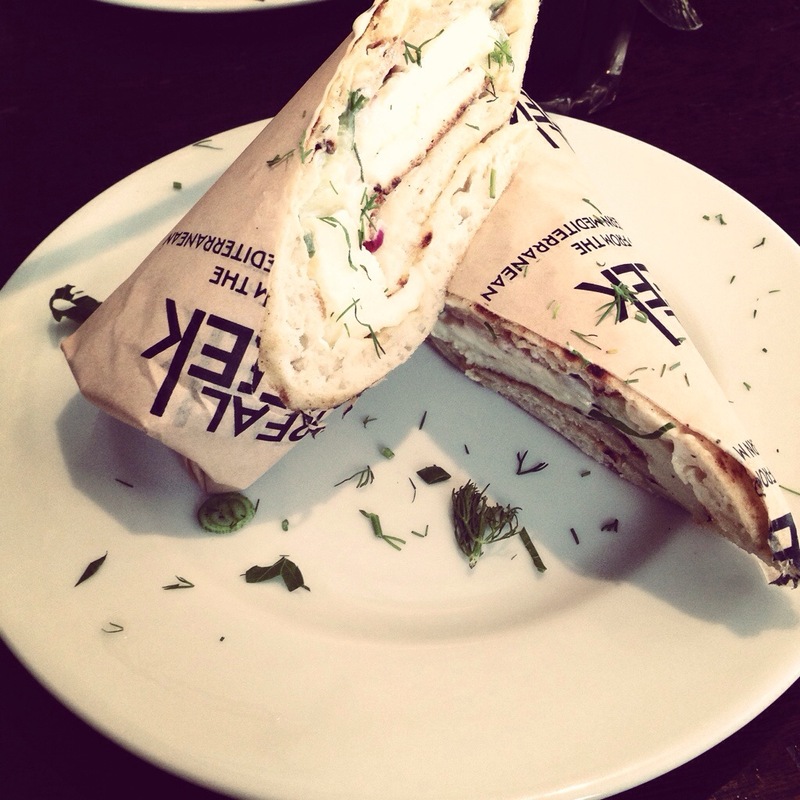 A filling of your choice (choose from pork belly, chicken, lamb gyros, halloumi, or falafal), wrapped in greek flatbread, with homemade tzatziki, fresh tomatoes, red onion, and sweet paprika. I struggled to decide between the lamb and the halloumi, but ended up going for the halloumi. JOKE ALERT: What does cheese say when it looks in the mirror? HALLOU-MI. Classic. I actually have quite a lengthy repertoire of cheese jokes. I bet you’re sitting there reading this, relieved that you’re not sitting next to me right now. 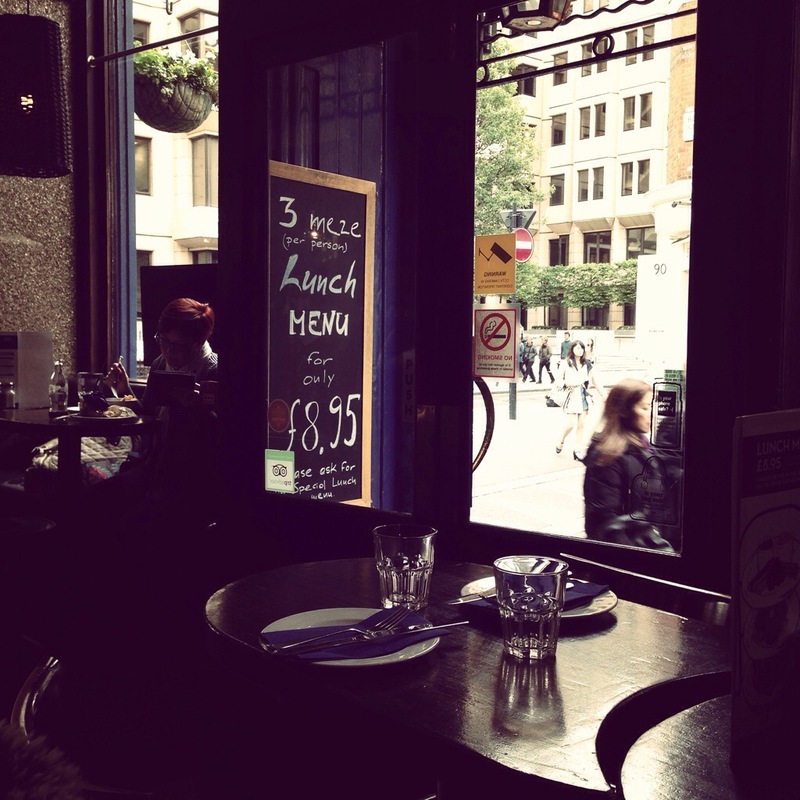 Price-wise, I think we paid around £15 per person for a starter, souvlaki wrap, and diet coke. Very reasonable. Does it feel as authentic as Greece, itself? No, but it’s certainly not doing badly on that front. Did I enjoy the grub? Absolutely yes. I recommend checking it out! 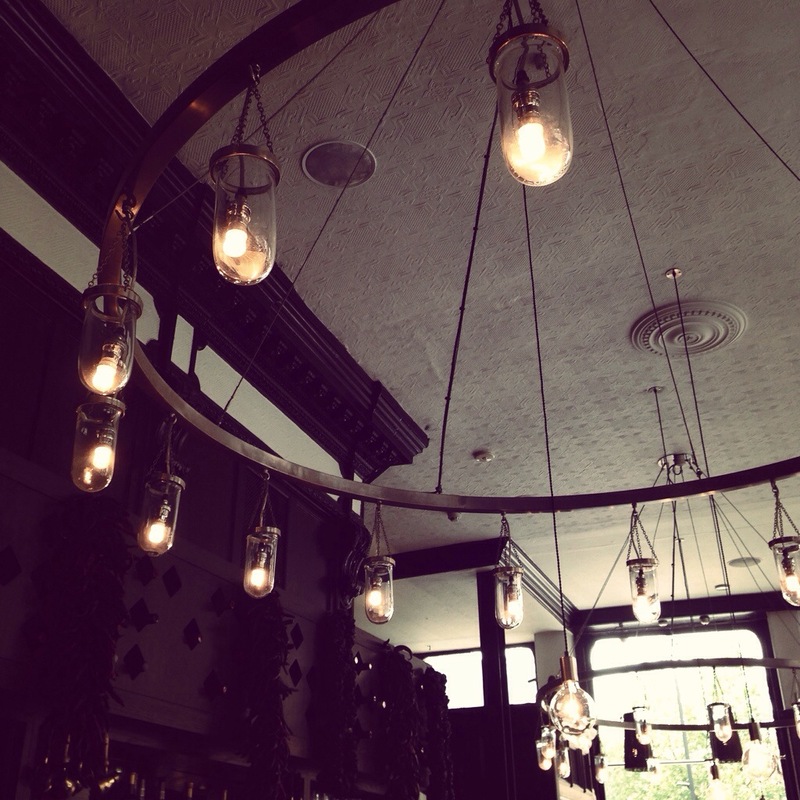 It would be a great pre- or post-theatre spot. Two Birthdays in One Week! Food sounds good and lovely interior. 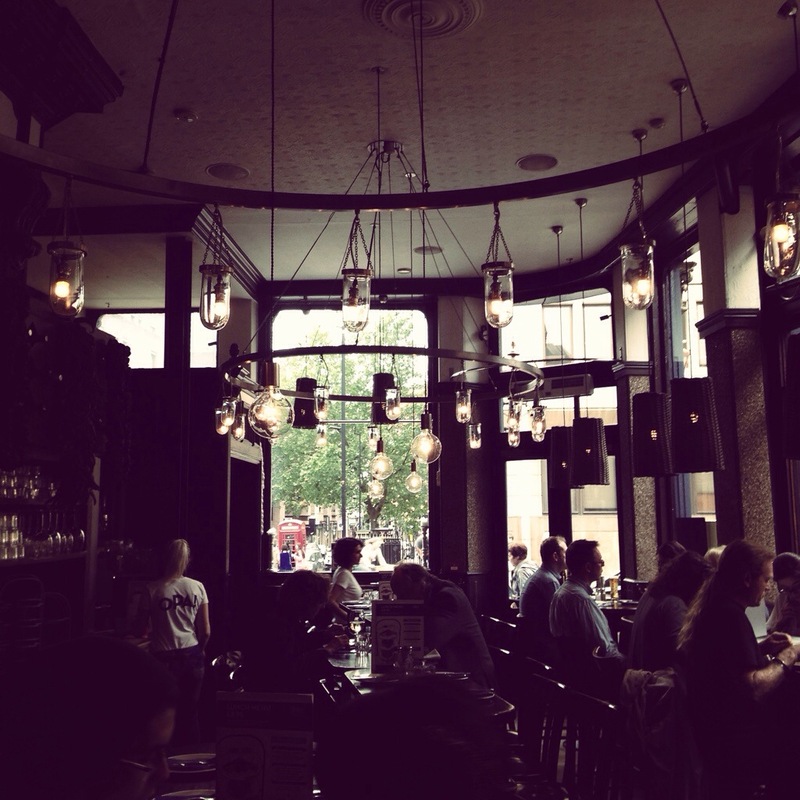 Yep – the food was good, and the interior sort of felt like a Greek pub! I liked it though – unique!